I like BOTH of the rooms not to mention the lavender paint! 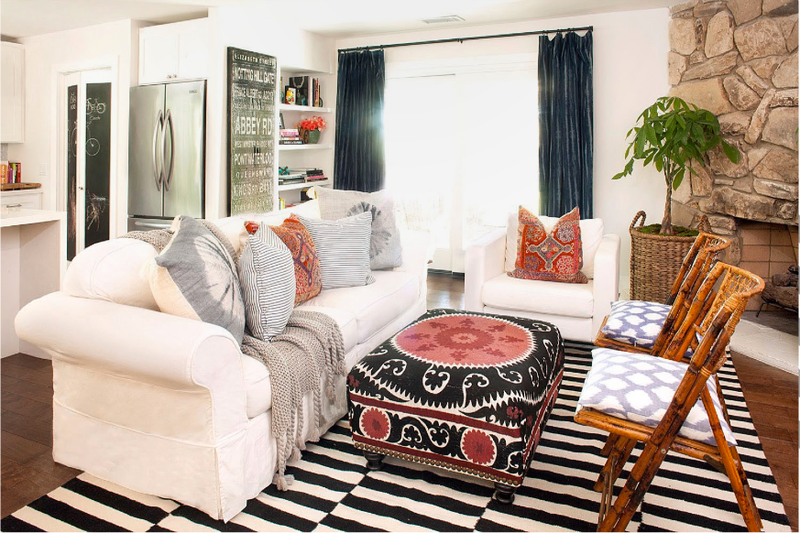 Where can I score some great rugs like those? Girl, you got it going ON! I must know where you got that fabric! For the pillows on the sofa I mean! I am in love with it but have yet to be able to find a source. Pretty please?? OK, I LOVE that first picture of the bedroom from Amber's house. I could totally be happy in a bedroom like that. Makes me want to go paint mine gray, sigh. I think I overdid it with the green in there. And I loved your rooms! My favorite was the first one, of course, because I am a girl. :) I thought the mirror and the lamp were very nice touches. And the rug! Of course! Just found your blog and love the feature! Where did the awesome rug come from?! I'm in the market for a new rug and am trying to find something in just that color way, any suggestions? Amazing! I don't know how you find the time for these projects. I know you've probably said before- but what is the pillow fabric?- it plagues me. I may have to splurge. 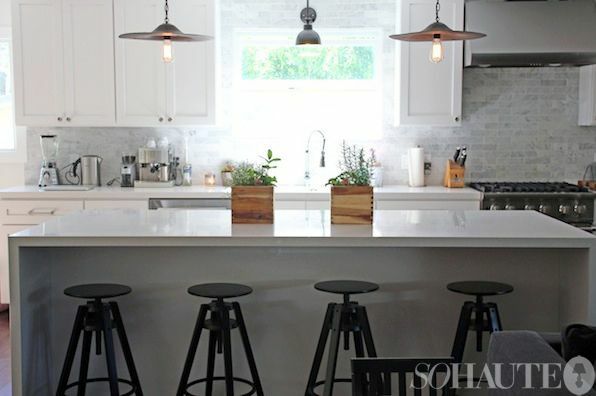 Love the duo of pendants over the kitchen island with the exposed bulbs. So good! looking good! love amber's blog too. 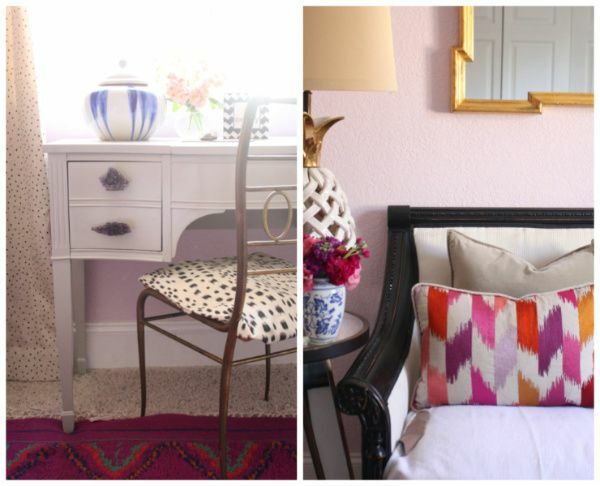 love, love the little ikat pillows in the first girly room then love the ikat in the masculine room too. I just found your blog through Ambers and I am OBSESSED with the pillows in your first look..the kind of chevrony (is that even a word?)ones. Is that fabric available and if so, will you share the info? I am heading over IMMEDIATELY...those peaks alone have me lusting for more!!! Hmmm, let's see...what's the word? Oh, yeah, SPECTACULAR. That's it. Fine job, Missy. 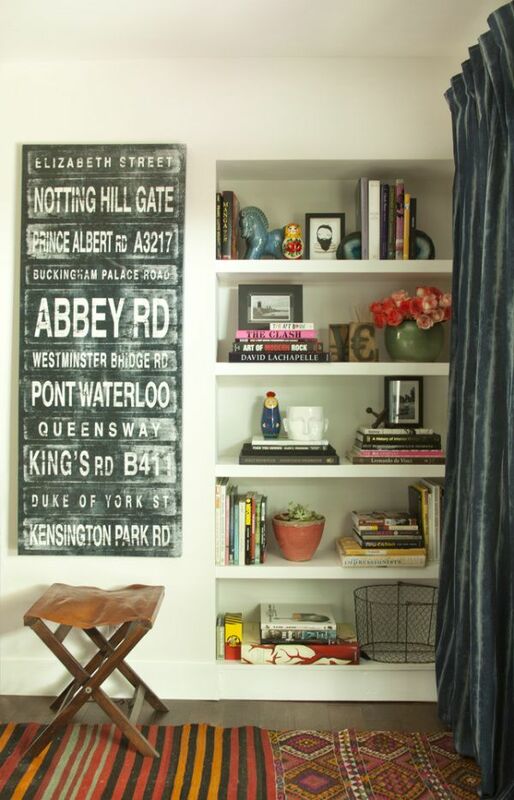 I think this is a wonderful exercise just to get a person to rethink each room and it's function. Mix and match. Just like the combination dinners at the local Mexican restaurant...except yours is muy bien! Also, I like the desk lacquered with the new pulls! Very nicely done my dear!! 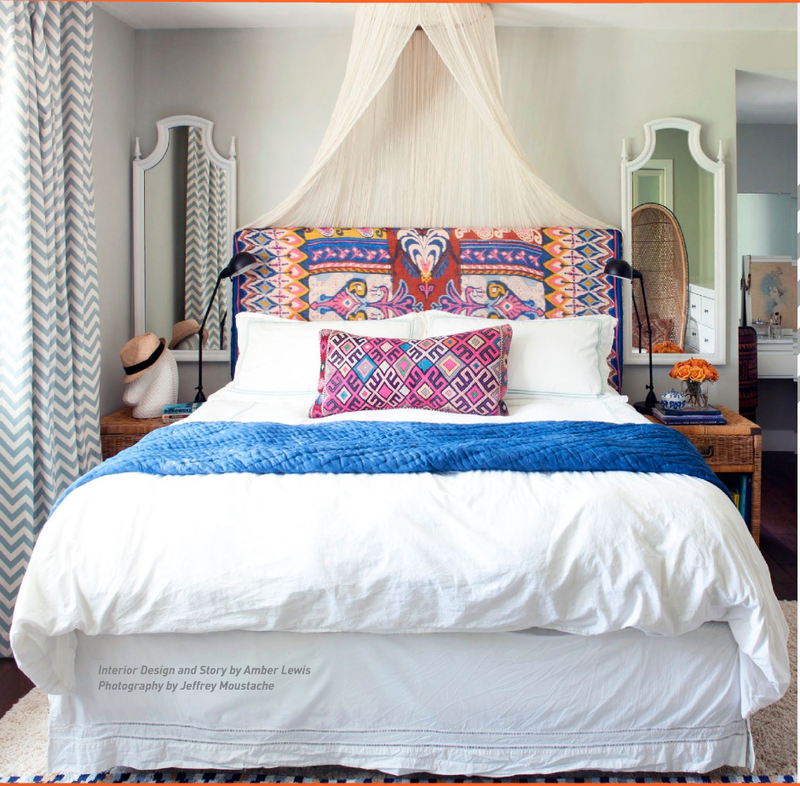 joanna - the rug is currently offered by Anthropologie and the colors are so great. it actually comes in a different colorway as well. debi - sadly that fabric has been discontinued. perhaps if you google jane churchill rossini then you may come up with something. christina, you are freaking awesome. beautiful and I ALWAYS am intrigued at iwhere inspiration comes from, like I say...it is everywhere!! these spaces make me want to move in!!!! Thanks again Mama for playing the one room two ways game. I loved having you!!! Let me know if you ever need me to return the favor!!!! Christina- YES I am still interested :-) I'll email ya! I am absolutely LOVING the space! Turned out so fab!! About to pop over now to check out your room. Your peaks were a great tease! I did check it out and it was awesome.